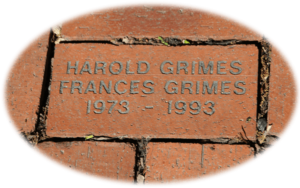 Honor a special person or group or provide a lasting memory to a loved one by contributing a personalized engraved brick. Your $50 contribution will help pave our walkway that features both new and “old” bricks from the depot’s original location. You may print out our Memorial Brick form from the sidebar and send a check for $50 or fill out the form below and pay with PayPal. For questions regarding the “Memorial Bricks,” please contact Mildred Swanson. Please put “Memorial Brick” in the subject line. 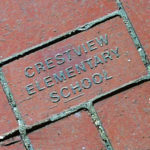 The brick can be imprinted with three lines of up to 15 characters per line (including spaces). Example: HAROLD GRIMES FRANCES GRIMES 1973 - 1993 Please fill out your message below. The Clive Historical Society reserves the right to choose type size and arrange words to maintain balance & legibility. Thank you for supporting the Clive Historical Society. Click photo to open & print form.